Oh yes I did. 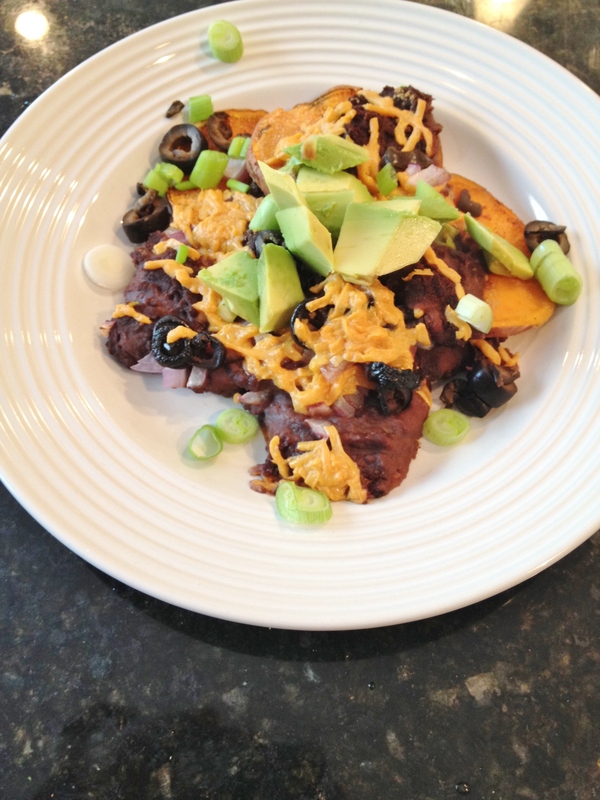 I made sweet potato nachos. And no, before you get all lathered at the mouth about sweet potato chips and cheesy goodness – the SP’s are soft and you need a fork to eat this. 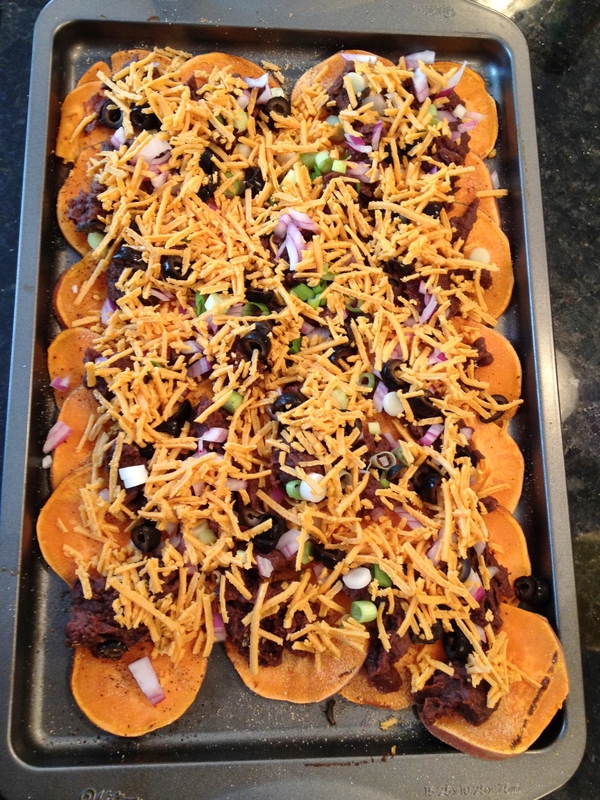 But make no mistake – this is awesome nacho-goodness. Like, you will be eating the whole tray alone it is so awesome! 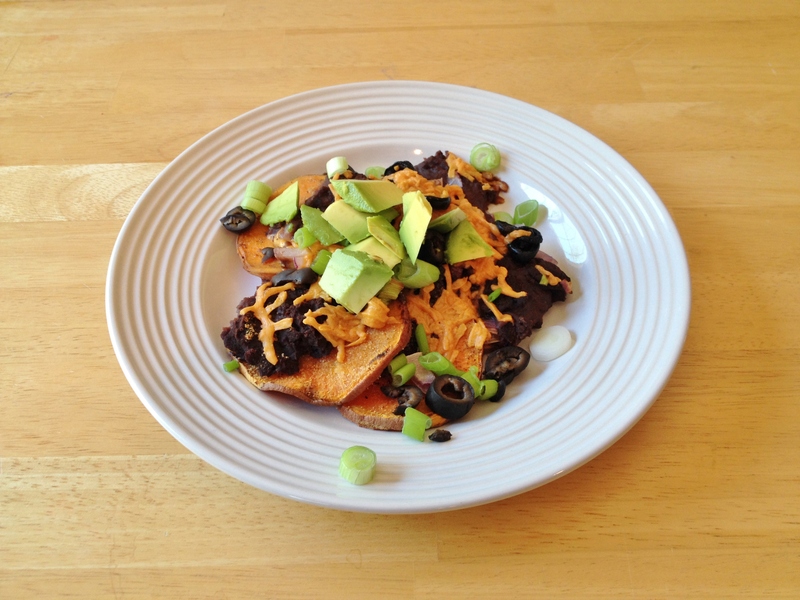 Here are my vegan and gluten-free Sweet Potato Nachos. Seriously. 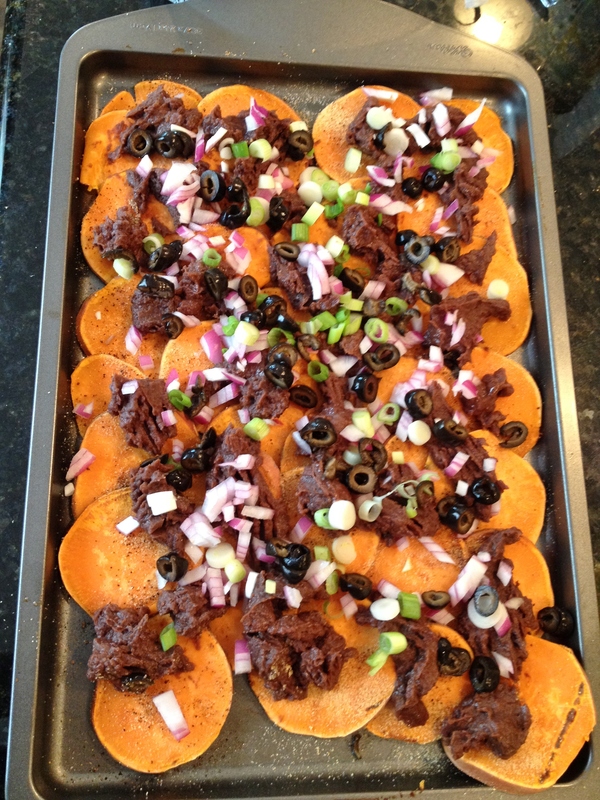 Who doesn’t love nachos? I gave up chips in ’09 and haven’t gone back (I have tried kale chips and random sweet potato chips) but I so miss tortilla chips more than any other crunchy food (except maybe Cheez-its). Missing those chips though is not going to stop me from enjoying nachos; you don’t necessarily need crunchy chips to enjoy cheezy potato goodness. 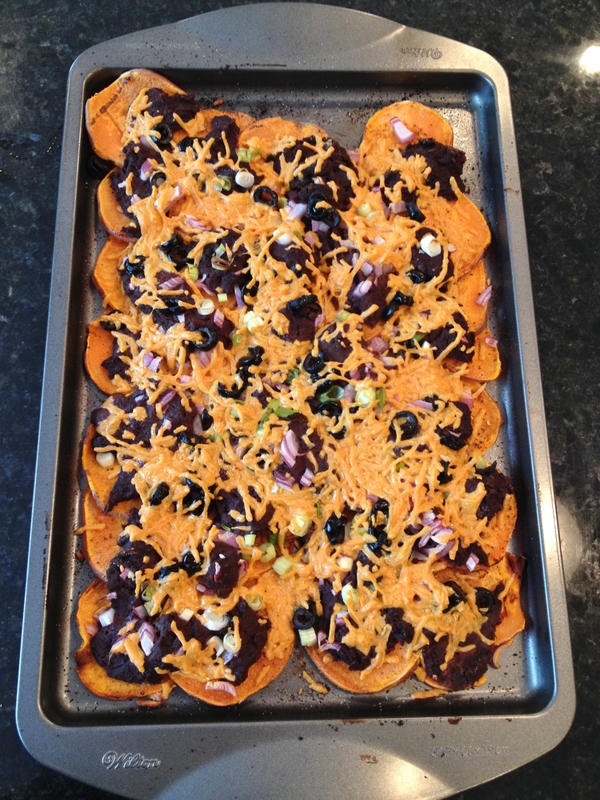 These nachos turned out not like crunchy chips but it was in no way a failure. It. Is. Awesome. They were amazing. 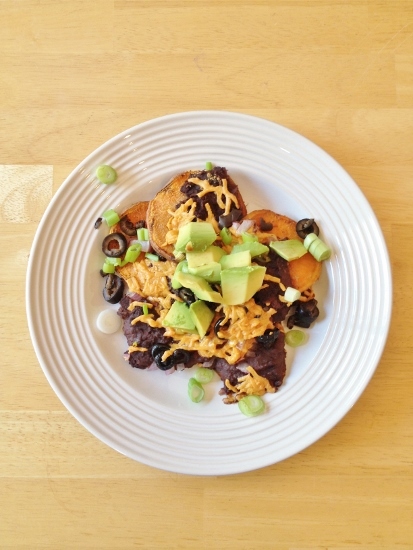 I flavored the thinly sliced potatoes with taco seasoning, some awesome refried black beans, a little red and green onion, some sliced olives … and of course cheese! 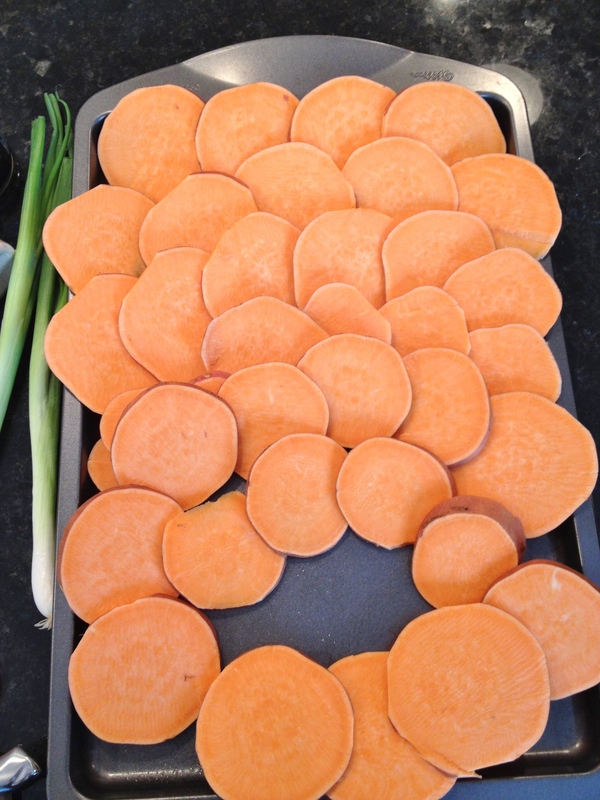 Thinly slices your sweet potato with a knife or mandolin then lay them on a baking sheet overlaying them starting with them up on the sides to let air vent over and under them. 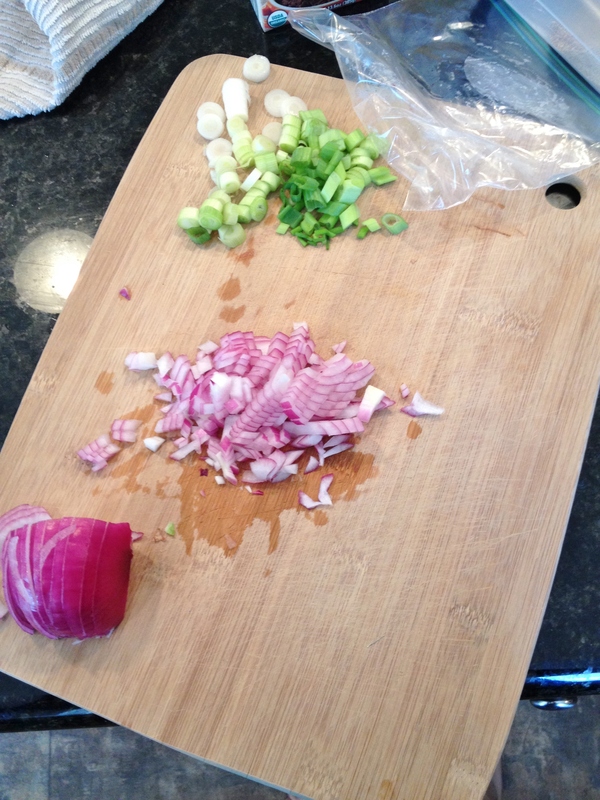 Bake at 450 degrees for 10 minutes; chop onions while potatoes are baking. Take out of oven and sprinkle with about one teaspoon garlic powder and of your homemade taco seasoning then carefully using a fork, flip all potato slices. Sprinkle other side with two teaspoons seasoning and one teaspoon garlic powder, then spoon beans over potatoes. Sprinkle both chopped onions and olives then add your cheese. Bake for another 20 minutes at 450 then take out. Use a spatula to get onto your plate and fork up! Enjoy!! 1. Turn oven to 450 degrees. 2. 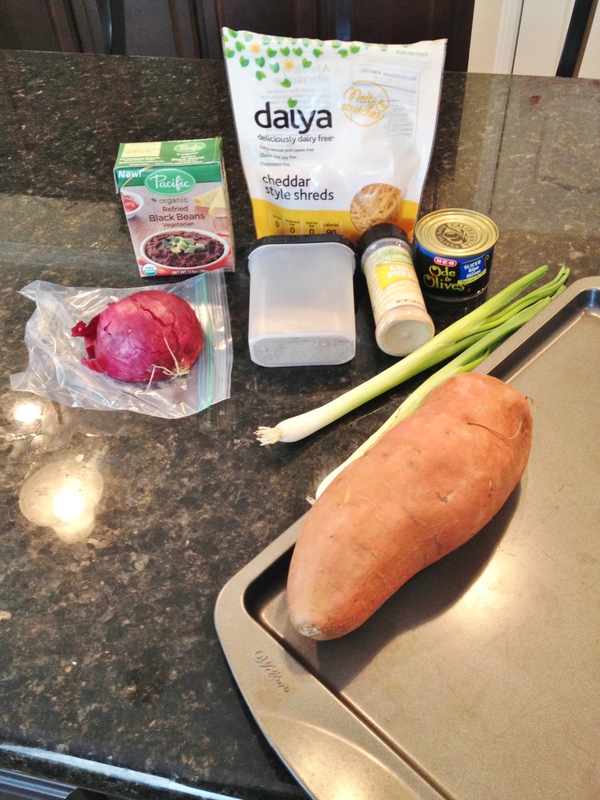 Wash and thinly slice sweet potatos. 3. Spray baking sheet with non-stick spray. 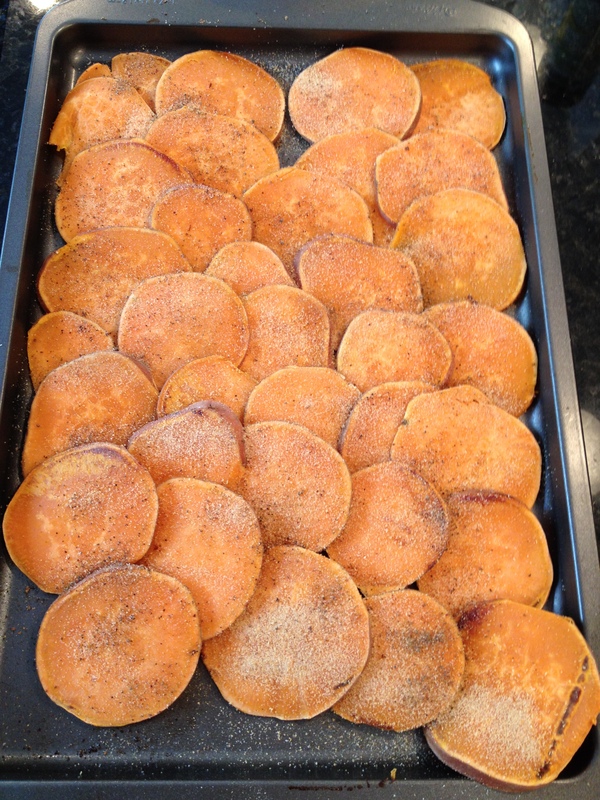 Line sweet potatoes on pan overlaying so air can circulate. 4. Bake for 10 minutes. 5. Take pan out and sprinkle potatoes with 1 tsp garlic powder and 1 tsp taco seasoning. Using a fork carefully flip over all potato slices laying flat on pan, and overlaying. 6. Sprinkle the other tsp of garlic powder and 2 tsp of taco seasoning. 7. Fork or spoon the beans over the potatoes then sprinkle the sliced onions over the beans. 8. Sprinkle olives then the cheese. They did turn out awesome, and I am already wanting them again!